Sarah Nader - snader@shawmedia.com Alisson Paez, 3, of Harvard checks out her face after getting a mask face painted on while attending the Kelly Miller Circus at Milky Way Park in Harvard on Sunday, September 9, 2012. 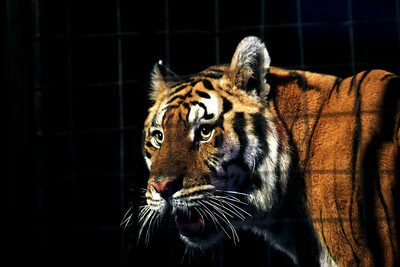 Sarah Nader - snader@shawmedia.com A Tiger looks out into the crowd during the Kelly Miller Circus at Milky Way Park in Harvard on Sunday, September 9, 2012. Sarah Nader - snader@shawmedia.com The Delara Duo performs an airborne act during the Kelly Miller Circus at Milky Way Park in Harvard on Sunday, September 9, 2012. 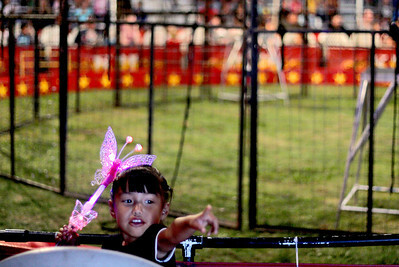 Sarah Nader - snader@shawmedia.com Keira Gonzalez, 3, of Harvard watches the Kelly Miller Circus at Milky Way Park in Harvard on Sunday, September 9, 2012. 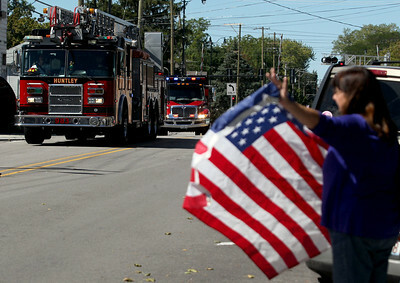 Sarah Nader - snader@shawmedia.com Deborah Webster of Huntley helps to welcome home Army Sgt. Daniel Bacino on Sunday, September 9, 2012. Bacino had been in the Army for the past four years and has served tour tours in both Iraq and Afghanistan. 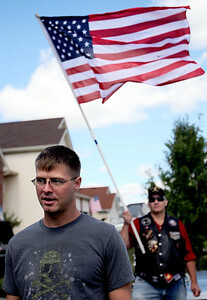 Sarah Nader - snader@shawmedia.com Huntley fire trucks and the Patriot Guard Riders escorted Army Sgt. 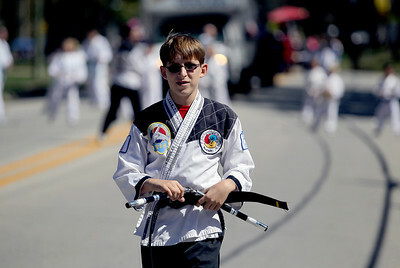 Daniel Bacino to the Huntley Town Square on Sunday, September 9, 2012. Bacino had been in the Army for the past four years and has served tour tours in both Iraq and Afghanistan. Sarah Nader - snader@shawmedia.com Army Sgt. 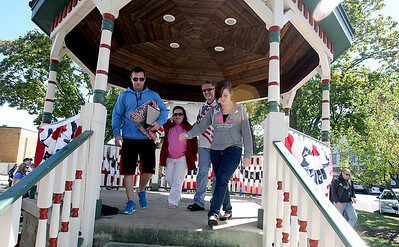 Daniel Bacino is welcomed home by family, Nancy Rubino, Frank Rubino and Emily Rubino, 14, on Sunday, September 9, 2012. Bacino had been in the Army for the past four years and has served tour tours in both Iraq and Afghanistan. Sarah Nader - snader@shawmedia.com Army Sgt. Daniel Bacino hugs his sister, Emily Rubino, 14, of Huntley after returning home on Sunday, September 9, 2012. Bacino had been in the Army for the past four years and has served tour tours in both Iraq and Afghanistan. Sarah Nader - snader@shawmedia.com The Party Hardigans perform during the Saufen und Spiel parade in Johnsburg on Sunday, September 9, 2012. 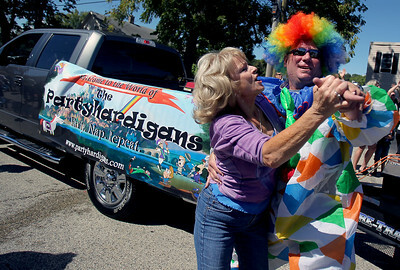 Sarah Nader - snader@shawmedia.com Chad Miller dances with Donna Swieton of Round Lake during the Saufen und Spiel parade in Johnsburg on Sunday, September 9, 2012. 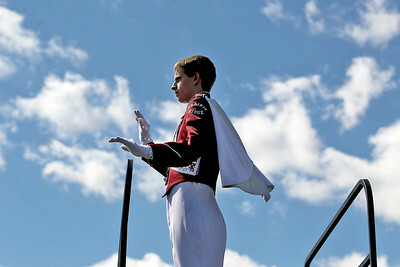 Sarah Nader - snader@shawmedia.com Kevin Sompel, 13, pf Johnsburg performs with the Flying Dragons during the Saufen und Spiel parade in Johnsburg on Sunday, September 9, 2012. 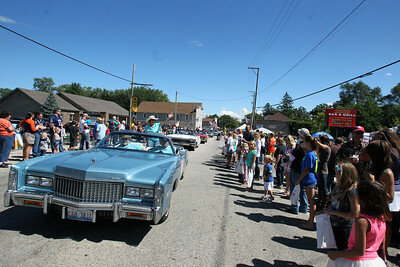 Sarah Nader - snader@shawmedia.com The Saufen und Spiel parade was held in Johnsburg on Sunday, September 9, 2012. 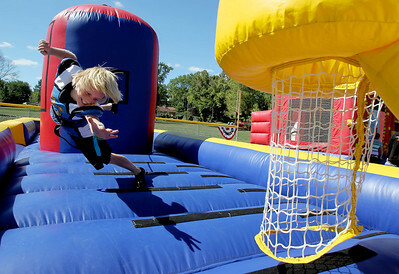 Sarah Nader - snader@shawmedia.com Jarett Polep, 11, of Johnsburg plays a game on the bungee basketball pull while attending Saufen und Spiel in Johnsburg on Sunday, September 9, 2012. Sarah Nader - snader@shawmedia.com Skyler Hansen, 11, of Johnsburg performs a flip with the LXC cheerleading team during the Saufen und Spiel parade in Johnsburg on Sunday, September 9, 2012. 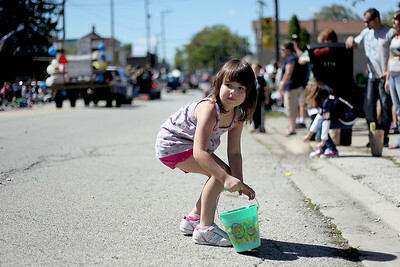 Sarah Nader - snader@shawmedia.com Vivian Nilles, 5, of Johnsburg picks up candy during the Saufen und Spiel parade in Johnsburg on Sunday, September 9, 2012. Sarah Nader - snader@shawmedia.com Lance Corporal Jacob Savage of McHenry and his fiancé, Paige Lewis of McHenry watch as the Warriors' Watch Riders pull up to welcome Savage home on Saturday, September 8, 2012. Savage returned from his seven month tour in Afghanistan this week. Sarah Nader - snader@shawmedia.com Lance Corporal Jacob Savage of McHenry was welcomed home by the Warriors' Watch Riders on Saturday, September 8, 2012 after returning from his seven month tour in Afghanistan this week. Savage was stationed in Okinawa where he drove 7 ton trucks and humvees. 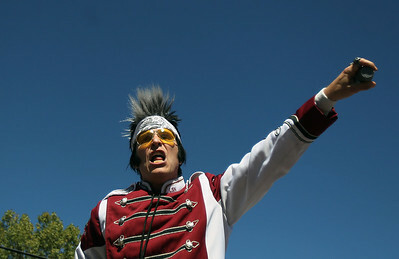 Sarah Nader - snader@shawmedia.com Prairie Ridge's drum major Joseph Schneider directs the marching band while performing at the 5th annual McHenry High School Marching Band Festival at McCracken Field in McHenry on Saturday, September 8, 2012. 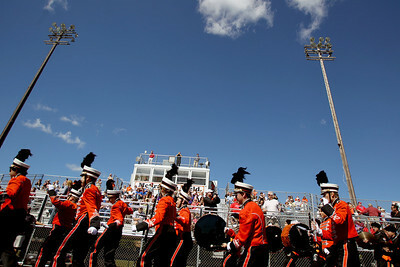 Sarah Nader - snader@shawmedia.com The Crystal Lake Central marching band walks off the field after performing at the 5th annual McHenry High School Marching Band Festival at McCracken Field in McHenry on Saturday, September 8, 2012. 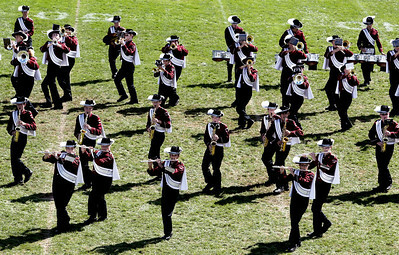 Sarah Nader - snader@shawmedia.com The Prairie Ridge marching band performs during the 5th annual McHenry High School Marching Band Festival at McCracken Field in McHenry on Saturday, September 8, 2012. 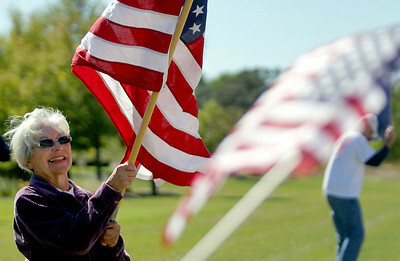 Sarah Nader - snader@shawmedia.com Martha Mirek of Huntley waves an American flag while participating in the Now or Never Rally put on by the Huntley area TEA Party on the corner of Del Webb Boulevard and Route 47 in Huntley on Saturday, September 8, 2012. 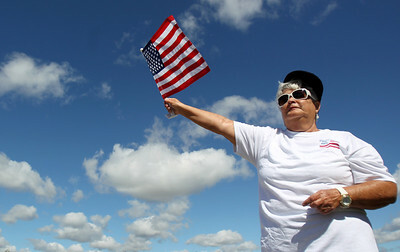 Sarah Nader - snader@shawmedia.com Arleen Terdina of Huntley waves an American flag while participating in the Now or Never Rally put on by the Huntley area TEA Party on the corner of Del Webb Boulevard and Route 47 in Huntley on Saturday, September 8, 2012. 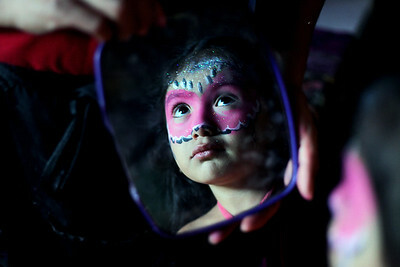 Alisson Paez, 3, of Harvard checks out her face after getting a mask face painted on while attending the Kelly Miller Circus at Milky Way Park in Harvard on Sunday, September 9, 2012.